Luckily, the expert swimming pool contractors here at Rhine Pools have some advice for you. Just when you thought you could start reopening your above ground pool, winter comes back. So how do you keep snow and ice out of your Baltimore swimming pool? 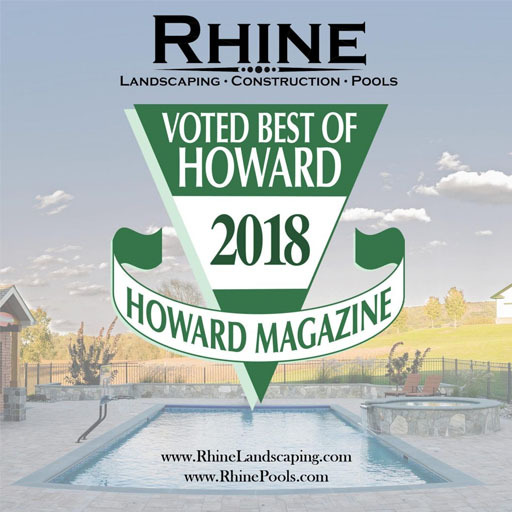 Luckily, the expert swimming pool contractors here at Rhine Pools have some advice for you. Learn more about what you should do to make sure your pool survives this last hurrah from old man winter. The walls of the swimming pool will be frozen solid if you’re not careful. In-ground pools can resist cold damage from ice and snow better due to the way they are installed. However, above ground pools are more vulnerable. When water turns into ice, it will expand. If you don’t have an air pillow handy, then you might want to get one. After all, it can relieve the pressure of the ice. Another piece of advice from your friendly swimming pool contractors is to look for possible leaks or the water level dropping. The pool liners and skimmers could be damaged if and when this happens. Water leaks might not seem like a problem when any remaining water in your Baltimore pool is frozen over. But eventually, the weight of the ice and other problems will cause the walls of the pool to fail and fall; this occurrence will also damage the cover. Ice isn’t always flat and smooth. Sometimes, it will get sharp and pointy. 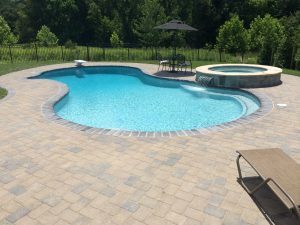 What else can your trusted Baltimore swimming pool contractors suggest? Keep an eye on the cover you use for your above ground pool. It might crack or even be cut open by the ice, snow, and freezing rain. A wintry mix is no fun to drive in, and even less fun to swim around in once it does get warm. Even though your walls may survive several thousand pounds of snow weight pressure, you’ll still have other problems to worry about; for instance, the liners could be too damaged to be any use. They could also spring accidental leaks that you can’t see. However, it is conceivable to straighten out crooked swimming pool walls with some duct tape and wall foam. You can also install new metal panels to replace the bent ones that have fallen. With some more wall foam, a hammer, and a drill, you can also repair any pool walls that are failing.